Ride through the township and sulk in the difference and beauty of the place. 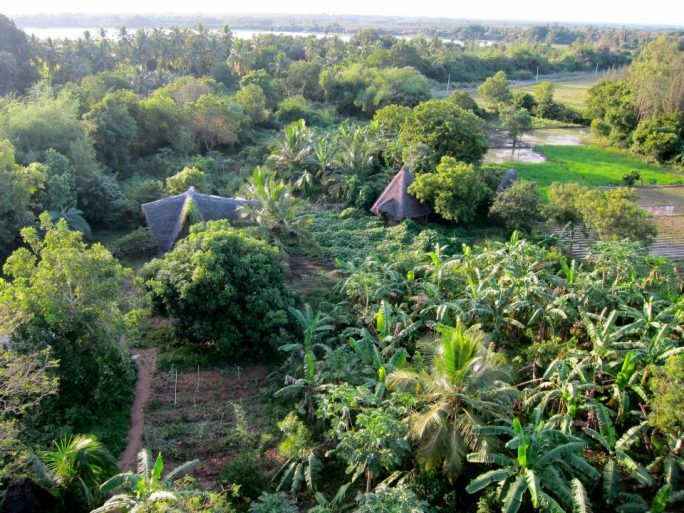 A land ahead of time, Auroville is a world of its own. People travel to Auro for their own reasons, be it spiritual, retreat, an escape from everyday life, volunteering or attending the countless workshops that take place. 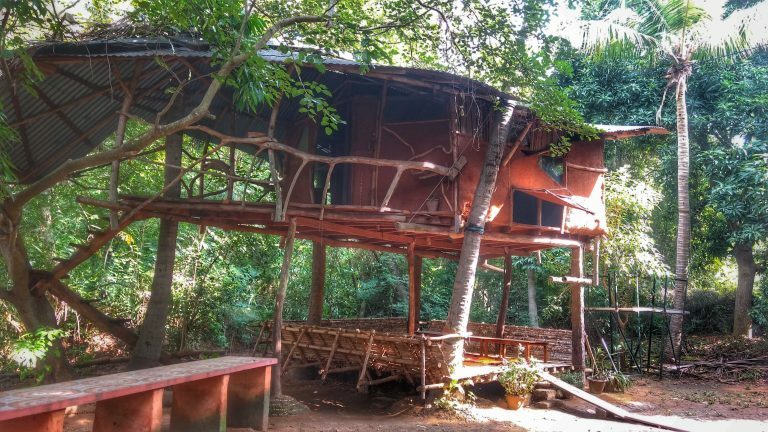 You can either drive, ride or catch a bus to Auroville, located in the Viluppuram district in Tamil Nadu, sharing parts of it with Pondicherry. Would suggest you to take a bus, enjoying the beautiful landscapes by this route. 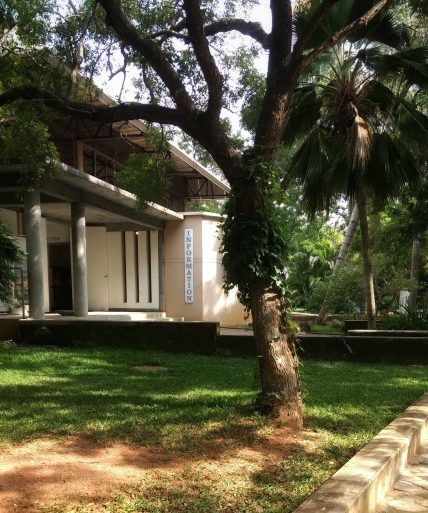 1 – Ride through Auroville. Ride through the township and sulk in the difference and beauty of the place. If you do not own one, you can always rent a bike or a cycle and take a stroll through the forest and on the way make a couple of friends too. (Everybody is friendly here!). This way you also get to figure out where to go next. A night ride is strongly recommended. 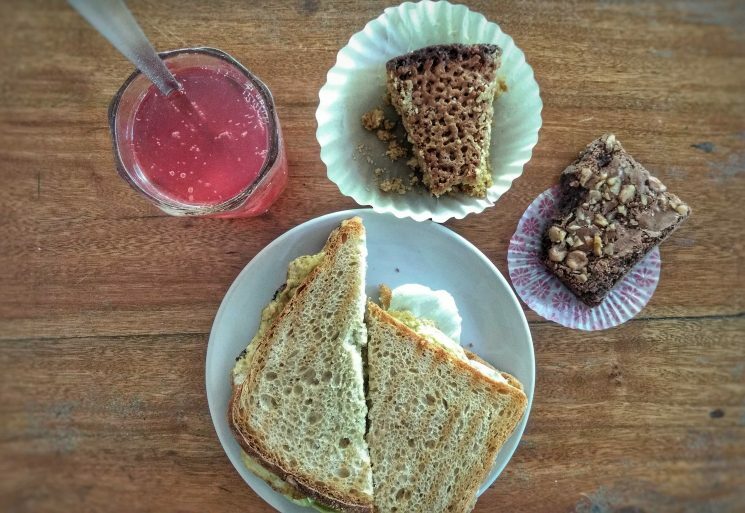 Auroville comes with a multitude of food options, but the bakery is the one you find at the beginning of your journey. Relish on the wide variety of baked goods the place has to offer, from muffins, pies, breads to cookies and biscotti. They also have a dine in space with an array of sandwiches and even south Indian breakfast options. The community focuses a lot on plant based living, you are likely to find a lot of vegan dishes on the menu. If you change your mind and decide to be a long term visitor, you will have to get yourself an ‘Aurocard’, where maintenance is money. You are provided monthly maintenance for the services you offer. 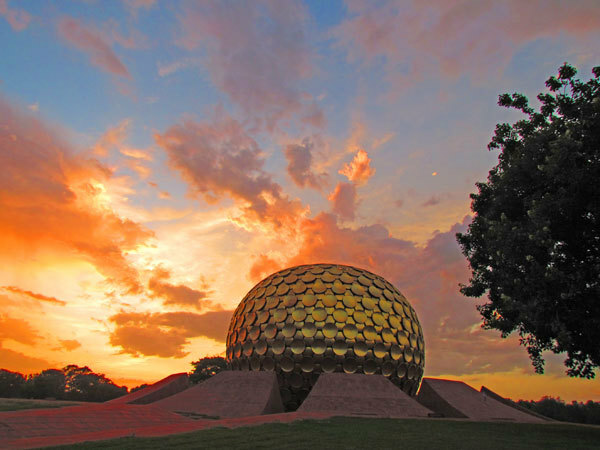 The Matrimandir is the heart of Auroville. It is a golden dome shaped building that lies at the centre of this experimental township. It is a temple for silent concentration and peace. One can obtain information on the Matrimandir everyday at the Information desk at visitor’s centre. [9.00 am- 1.00 pm & 1.30 pm- 5.00 pm]. The experience is not something you can put out in words. Located near Visitor’s centre, Solitude farm is a centre for permaculture and organic farming. They focus on local produce and runs a café with a menu that caters to dishes made from the local produce. Do not miss out on their organic thali, priced at Rs.240 and also fancy drinks like ‘Radhas consciousness’ and ‘Herbal Iced tea’. You can volunteer to work on the farm for a period of no less than six months, learn both the perspectives of how to cultivate and to run an eatery with the local produce. 5 – Volunteer or attend workshops. You will find infinitely many options here to volunteer, be it farming, working in cafes; or attend the many workshops that take place round the clock. Workshops ranging from Yoga, handicrafts, design, jewellery making and so on. A ride to the African Pavillion or the Indian Pavillion would also fetch you a lot of options to keep yourself busy with. These are just the starters for a magnificent meal that Auro offers. It is always recommended to stay for minimum of a week to enjoy and live the differences and imbibe the culture and peace of this beautiful land. There are more than 100’s of activities you can indulge in, all that it takes is that single journey to a different perspective of life. 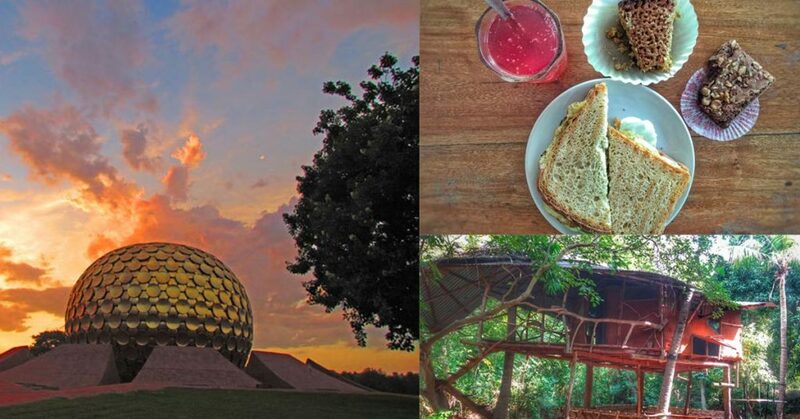 It is never a one time visit to Auroville, she calls you back.